The Triangle Mesh Completer is a Rhino plug-in that fills in gaps in point cloud data. “…hexahedral mesh will always [emphasis added] give more accurate results because the mesh elements are always [emphasis added] aligned with the flow direction…” No, they aren’t always. Hex cells will be aligned with the flow near the body if the hex cells are body-aligned because the flow follows the body. Away from the body, there’s no guarantee of mesh-flow alignment. In the description of their computation of skewness they state that “1 corresponds to a perfect cube.” I don’t think so. 1 would correspond to any rectangular parallelepiped including a very high aspect ratio brick. 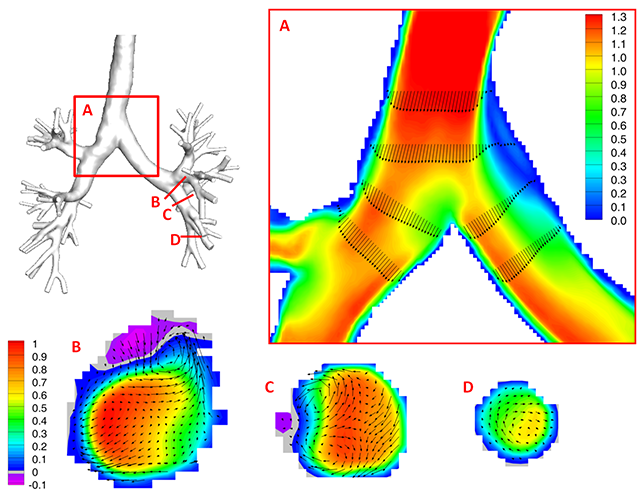 Tecplot visualization of inspiratory flow in human airways. Image from Tecplot. Read about how Tecplot was used to visualize MRI data and other simulation of films and mixing. The presentations from Solid Edge University 2013 are available online for download. There’s one about FEA and their mesher, Femap. It also appears that their 2014 event is scheduled for 12-16 May with the last two days being a dedicated Femap Symposium. Everyone’s used the Preview button in Word’s Print command. Now from Autodesk comes Project Miller, a preview for 3D printing. The cloud makes CAD slower and other reasons why CAD isn’t moving to the cloud any time soon. 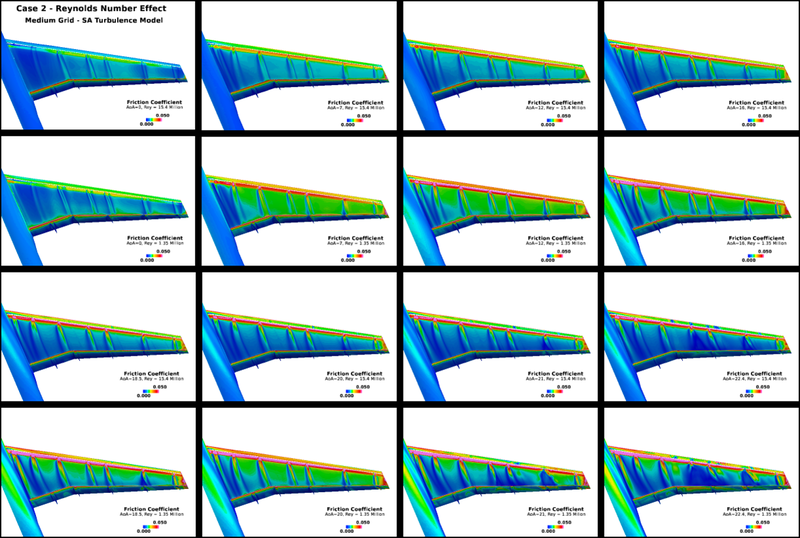 The current issue of the International Journal of CFD includes a paper on a GPU-based, moving, overset solver for the incompressible N-S equations. 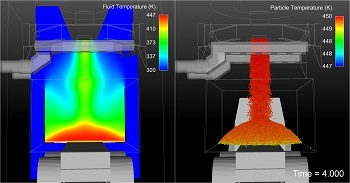 Simulation of fume abatement using both Fluent and EDEM in parallel. Image from DEM Solutions. Modeling of fluid-particle systems promises to be easier with the release of the new, open source, parallel coupling of ANSYS Fluent and DEM Solutions’ EDEM. Software Cradle announced the release of SC/Tetra Version 11 with a new liquid film model and updated post-processing. Do you have legacy Fortran code that you’ve put off moving to HPC systems because of the dreaded rework? Maybe LibGeoDecomp can help. Intelligent Light has eliminated per-processor license fees for FieldView. The software will use 8 cores or 64 HPC cores with a “modest” additional cost. FieldView 14 post-processed these 16 datasets from the AIAA High Lift Prediction Workshop using 8 cores per dataset without requiring additional license fees. Image from Intelligent Light. Apparently snakes have used CFD to learn how to fly. Sometimes science should just say no. Watch the video and be very, very afraid. When we teach spiders to fly I am so out of here. Schematic illustration of a snake’s flying mechanisms. Image from the NVIDIA blog. 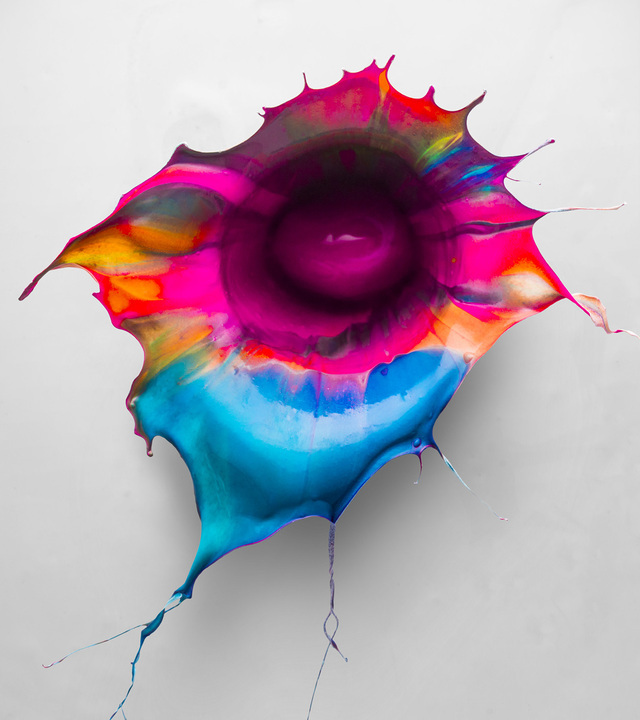 Orchid by Fabian Oefner. Image from Laughing Squid. This entry was posted in Applications, Events, News, Software and tagged ANSYS, Autodesk, CD-adapco, COMSOL, DEM Solutions, EDEM, Femap, FloTHERM, Fluent, SC/Tetra, Solid Edge, Tecplot. Bookmark the permalink.